In general, paddlers have their own language. Start talking skirts and eddies to a non-paddler, and it sounds foreign. River language. And on top of that, paddlers in every corner of the world have their own phrases and slang. Call it a river dialect if you will. If you travel to paddle new rivers, you’ll likely pick up some local words. We reached out to some of our international NRS ambassadors to create short-and-sweet, travel-friendly cheat sheet of terms and words for your next paddling trip abroad. 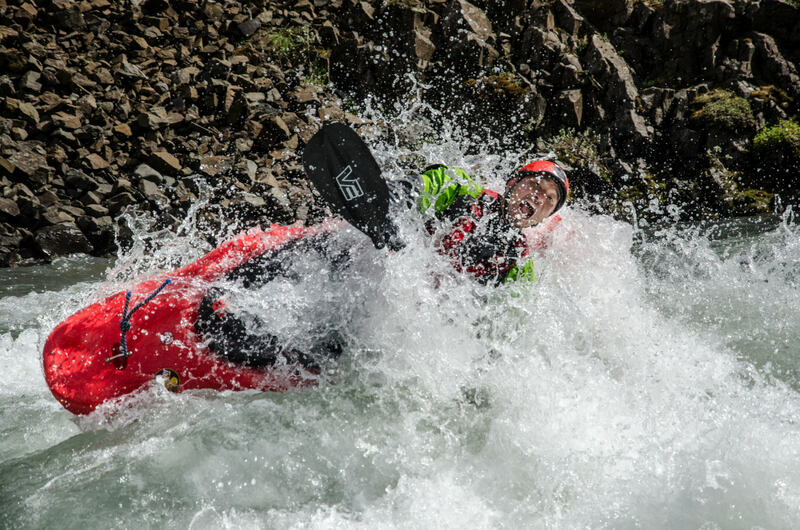 From gear to river features, sayings and jokes, these are the words you won’t find in a dictionary—hell, even the best translation app won’t recognize these one-liners that you can drop—on or off the river—and sound like a real local. 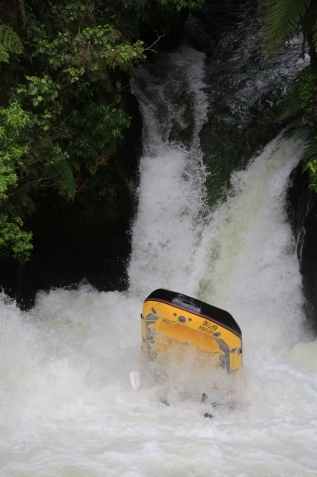 “Millennium Falcon” (v.) to flip a raft on Kaituna’s Tutea Falls (the world’s highest commercially rafted waterfalls). Taking a too-far-left line that flips your raft at the lip of the waterfall instead of at the bottom resulting in a ‘death spiral’ like that of the Millennium Falcon in Star Wars. “Elevator” (v.) going back up after coming down. 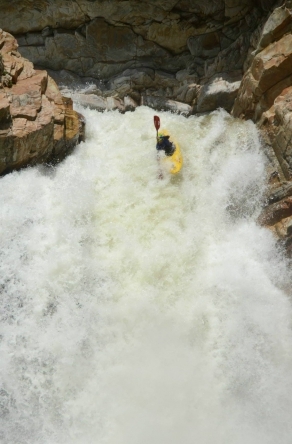 When the raft hits the water after dropping the falls and gets elevated back up to almost the full height of the 23-foot drop, ejecting the guide in perfect position to pull a peace sign for the camera before front flipping into the water. “Taco” (n.) a folded raft; (v.) to fold a raft. 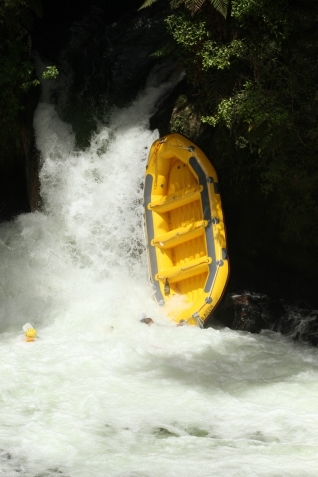 A raft will taco on impact, opening up only as it surfaces the water with a force that launches the guests and guide out of the raft in various directions. “Platter Splatter” (v.) landing on the rock shelf. 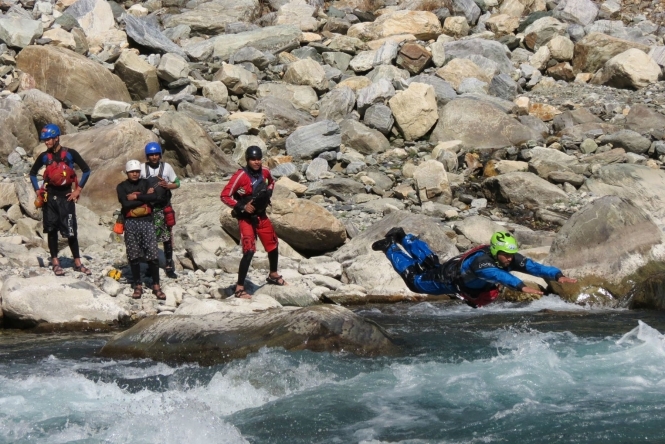 This is a potential result from a guide’s worst line! 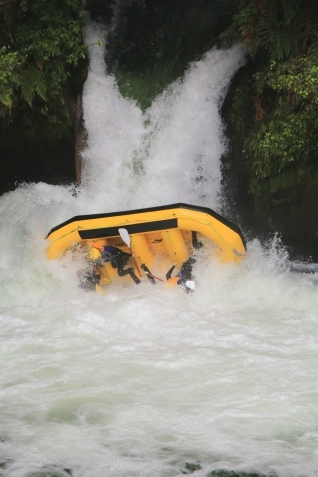 The raft is emptied while rotating in, toward the waterfall. As it starts to flip the guide is eyeing up how they may land on the shallow rock shelf on river left. “Dunga” [do-ung-ga] (n.) A boat; In Nepali a Dunga is a boat, but a Dhunga is stone. Don’t miss the subtle h. Non-Nepali speakers don’t catch the difference, giving the guides/locals a good laugh. “Chuchhe” [chuch-a] (n.) A kayak; We don’t actually have a traditional word for kayak in Nepali so we just made our own. 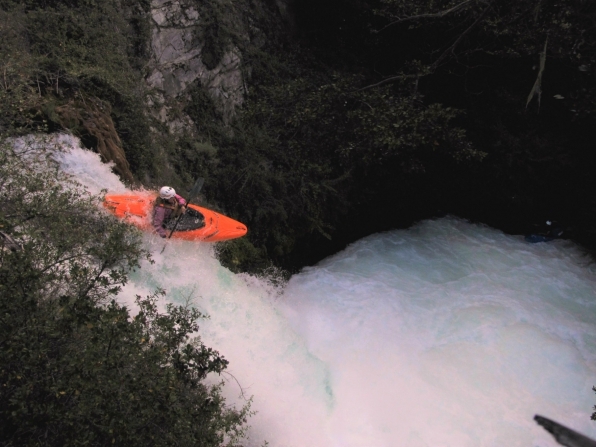 Chuchhe is a nickname for a person with a long nose, and given the world-class creeking in Nepal, it seems to fit quite well as a word for kayak. 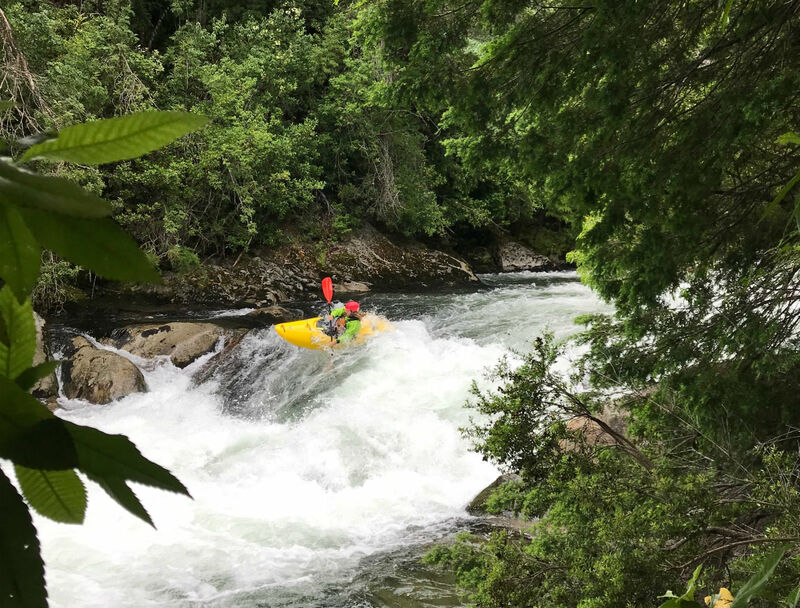 “Paddle” [pae-dull] (n.) A paddle, (v) To paddle; As is the case on many commercially rafted rivers of the world, we use English commands with all kinds of rafting clients, no matter where they are from. “Aja mero geda vijyo” [ah-Jaw meh-ro ge-da v-e-jyo] past tense, flipped a raft. Directly translated, this means “Today, my balls got soaked.” Guides will also use a similar saying when they meet clients who don’t look overly adventurous, suggesting that, “Today my balls will be soaked.” Not taken literally, it simply means, flipping a raft and everyone on the boat gets wet. “Pani khayo?” [pa-knee kha-yo] Directly translated means, “Did you drink water?” but in the vernacular it means, did you have a bad swim? “Visser” [fiss-er] (n.) a safety kayaker; Literally translates to “fisherman” and refers to the person in a kayak school or paddling crew who is responsible for ‘fishing out’ boats, paddles and people. “Cataract” [cat-ar-act] (n.) a technical Class V gorge or boulder garden. 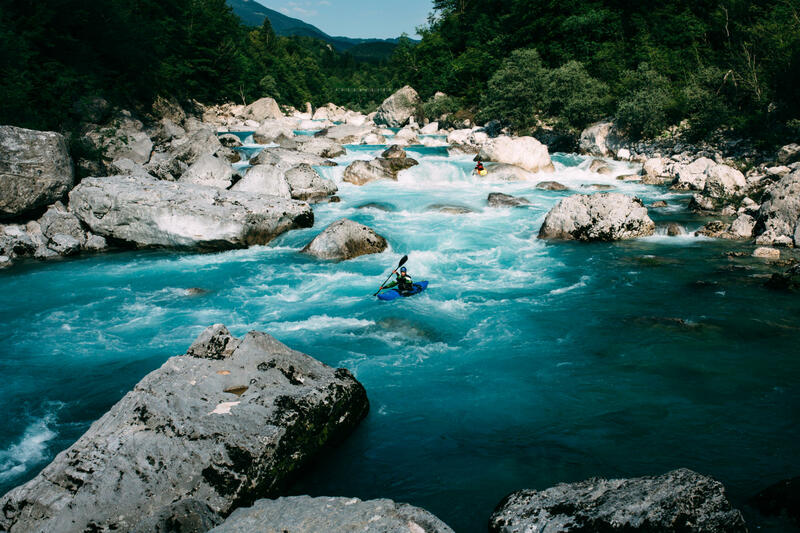 Locals have always called the Class V gorge of the Soča River Cataract. But when we are traveling or paddling other rivers around the world, Slovenians will also use cataract to describe a technical river section or boulder garden, no matter what country we’re in. 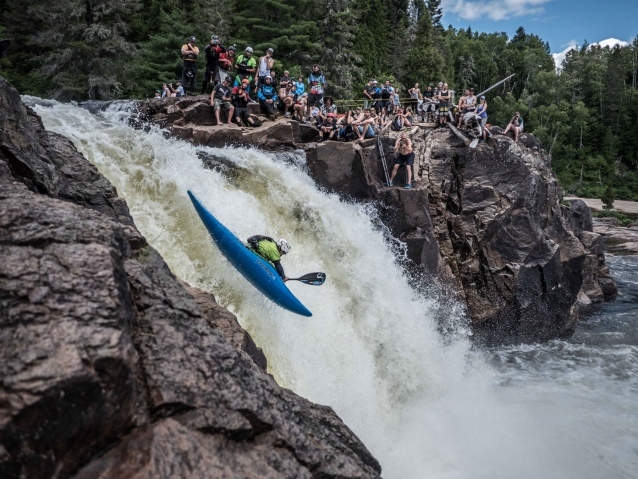 “Rola “[ro-la] (n.) a hole; Used in the same way North American paddlers describe a continual recirculating flow of water kayakers can surf and throw tricks, or, where boats and swimmers can get stuck. “Kontric” [con-tri-ch] (n.) eddy; Again, used in the same way as American paddlers to describe a circular movement of water, counter to the main current, causing a small whirlpool and a pool of calm water behind the eddyline. 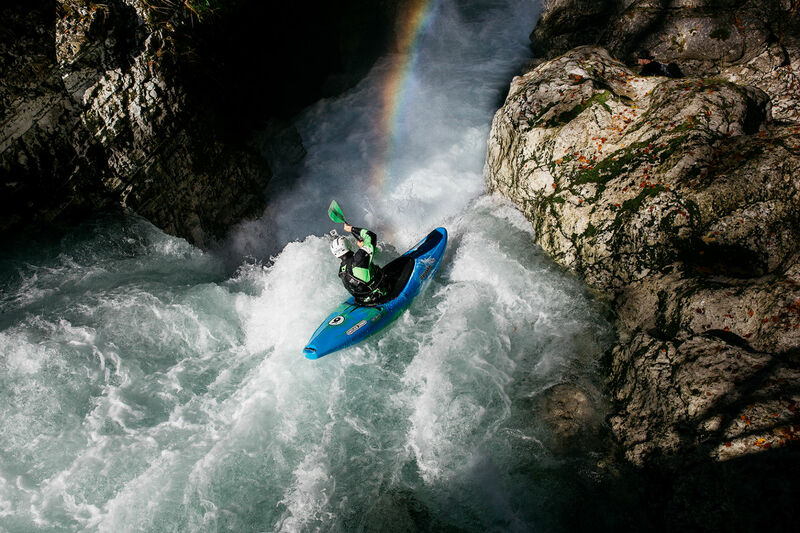 “Spricdeka” [sp-rits-deka] (n.) a spray deck; Depending on which Slovenia taught you to paddle, you might call it a krovnica [crov-nits-sa], the official and more formal word for a kayak skirt. “Ganga Maiyya Ki Jai” meaning, “Glory to the mighty Ganges.” Most guides have some way of paying tribute to the river Gods. Many river guides in India will say this prayer at the beginning of a rafting trip. “Niche Baitho” (v.) to hold on and get down. “Aaram se Chappu” (v.) to paddle and “Maro” =(adj) easy forward; said together, this phrase tells the guest to paddle forward nice and easy. “Medium, extra medium, low medium” (adj.) Local terms used to describe the water level opinions on Fairy Glen. Fair warning: medium doesn’t really mean medium. If you turn up at Beaver Pool (takeout for the notorious Fairy Glen in North Wales) and ask a local what the level is, they will probably tell you “Ah, it’s medium.” But medium could mean it’s low. Or it’s just medium. Good luck deciphering this river language! 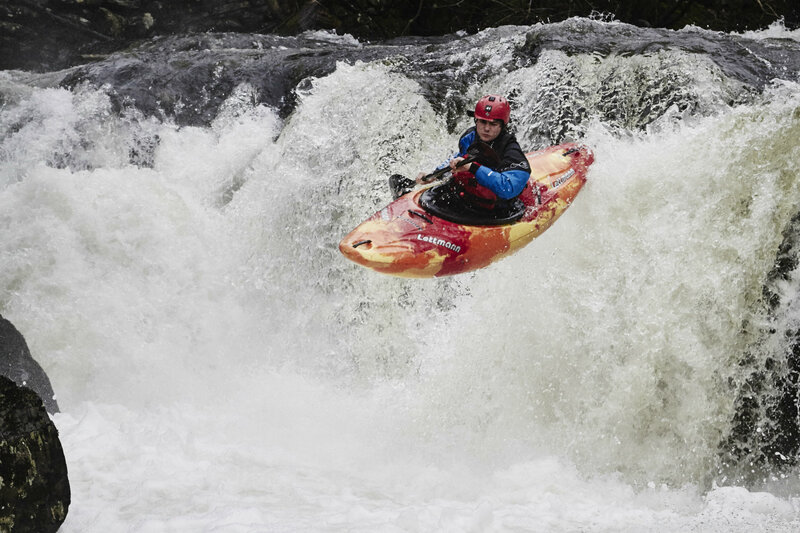 “I’ll give you 50p to…” A Welsh phrase akin to, “I dare you,” or the west coast guide game, “What are the odds.” It’s a challenge from one Welsh kayaker to another. 50p is a reference to a half-pound of sterling. This is about enough to buy you a decent chocolate bar in the 90’s, but today the best use for this small change is to egg a friend on to do something silly. It usually results in something pretty funny, and people rarely get paid. 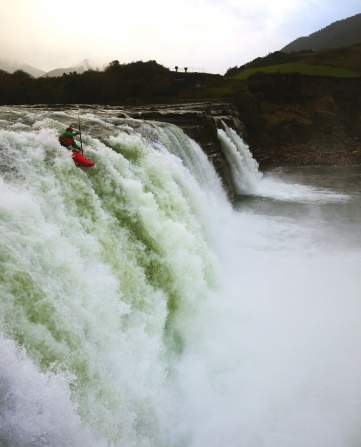 “Salto” [sal-tow] (n.) a waterfall; In Spanish, salto literally means jump. Most of Latin America refers to waterfalls as a cascadas, but in Chile waterfalls are called saltos. 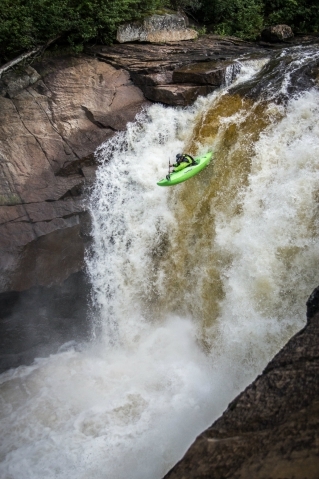 So if you are looking for big drops, just find the saltos on the map. “Weá” [way-AH] (n.) thing; This is an all-terrain word in Chilean Spanish that comes from “huevada,” which basically means “thing.” Chileans throw this term around in many different contexts, but on the river you might hear someone say, “La weá loca,” That [thing] is crazy or “Viste esa weá?” Did you see that? “Filete” [fee-lay-tay] (adj.) cool; A term that originates from the word “filet” like a fine piece of meat. It’s commonly used to say some person, place, action or thing is really cool. “Ese salto es filete!” That waterfall is awesome!